Sometimes it’s not enough to just appreciate the view. To fully experience the beauty, you want to live, breathe and sleep in it. 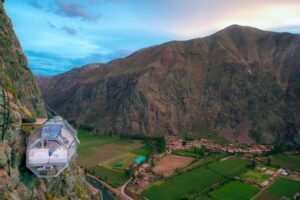 Which is why tour company Natura Vive put three transparent pods 400m up in the Peruvian Andes. 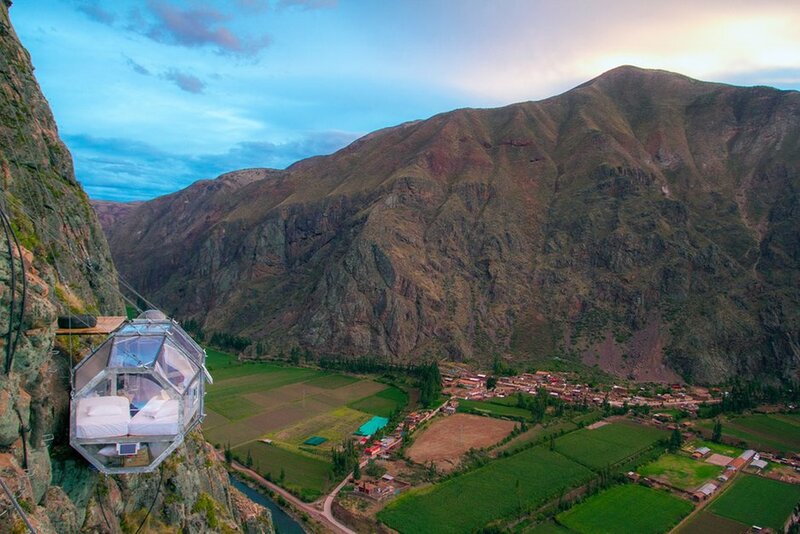 The pods overlook the Sacred Valley of the Incas, near Cusco, and to reach them guests have to hike a challenging trail with the help of ziplines. Once in situ, the rewards (besides the views) are four beds, a dining area and bathroom. Yours for £210 a night. Transparent pods 400m up in the Peruvian Andes. ← UK Dailymail: The most terrifying hotel in the world?